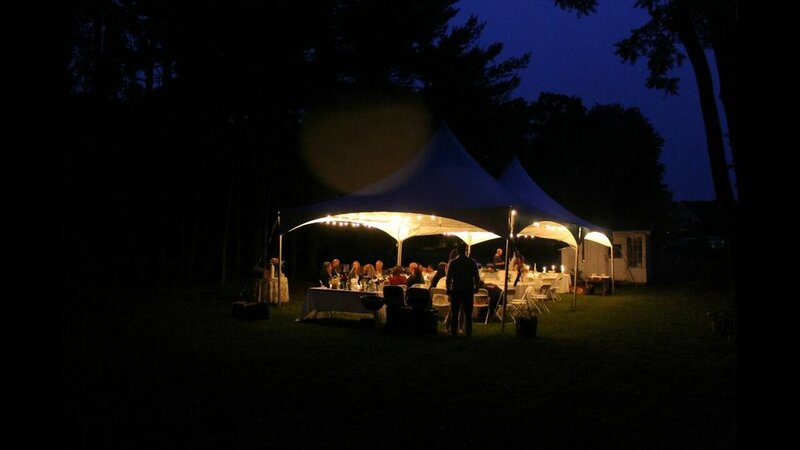 A tent, tables, chairs and more for up to 80 guests. The 80 person tent package. Our 80 person package is perfect for graduation party, informal backyard wedding, small company gathering, etc. This package includes a tent, tables and chairs plus delivery, installation, and removal (under normal circumstances). $949 for weekend*. Price includes delivery, tent setup and tables and chairs brought under tent. * The price assumes the tent is getting set up in a typical backyard, on grass, at a private residence.